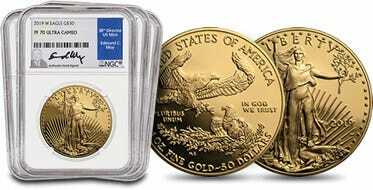 The Gold American Eagle Proof coin has been a favorite for investors and collectors since being introduced in 1986. 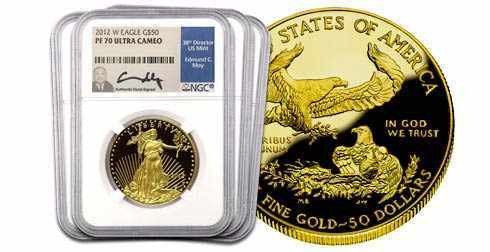 The front of the coins features a design that is inspired by the original $20 Gold Double Eagle, designed by Augustus Saint Gaudens and minted from 1907 to 1933. 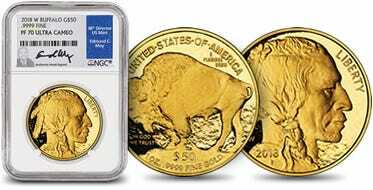 This 2015 $50 Gold American coin has been graded in perfect Proof 70 Condition by NGC.